I have been using Iphone5 for the past 3.5years.I strongly believe that it is one of the slimmest,compact device (4.0") Apple has ever made in its decade of Iphone heritage. Although the specs are below today when compared to its rivals in the same price range in terms of battery stand by and finger print sensors,apple&apos;s touch sensitivity,camera clarity, screen resolution and the pride of being an apple user still stands out from the crowd.Anywhere around 20K it is still one of the legend. Most compact device ever made by apple.Apple&apos;s camera still stands out from the crowd.The buttery touch sensitivity that only apple can give. Great phone. When we talk about iPhone we talk about amazing design, it&apos;s camera and obviously smooth functioning. And that is what characterize iPhone 5. Amazing front and rear camera. Small screen and hence easy to carry around. The iPhone 5 is a great phone. When we talk about iPhone we talk about amazing design, it&apos;s camera and obviously smooth functioning. And that is what characterizes the iPhone 5. 5 Pricebaba users have written their experience with Apple iPhone 5. If you own Apple iPhone 5, please do leave your feedback too. The much awaited device iPhone 5 from Apple, has shown tough competition against Samsung's Galaxy S3. It is 18% thinner, 20% lighter and 12% less in volume as compared to the 2011 iPhone 4S. iPhone 5's LED-backlit TFT 4 inches Retina-display supports a resolution of 1136 x 640 pixels. This capacitive touch screen has an oleophobic coating and strength of Corning's Gorilla Glass. iPhone 5 gives an internal storage of 16/32/64GB and 1GB RAM. It runs on iOS 6 that brings Apple's own mapping capabilities to the iPhone. This phone is powered by Apple A6 chipset and has a dual-core processor of 1.2 GHz. 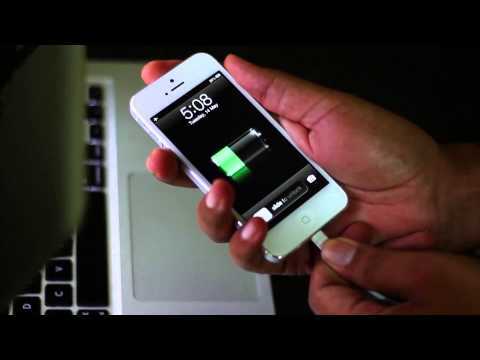 For data and connectivity, iPhone 5 sustains ultra fast wireless features like 3G, Bluetooth v4.0 with A2DP and dual-band WI-FI. iPhone 5 comes with an 8MP camera (known as iSight) has features like auto focus, LED flash, simultaneous HD video and image recording, Geo-tagging, face detection and a panorama mode. It gives an image resolution of 3264*2448 pixels. Also, its secondary front-facing camera of 1.2 MP enhances FaceTime video calls with 1080p HD video quality at 30 fps. The most pivotal change is the replacement of 30 pin adaptor to a simple Lightning connector which is more durable, and is reversible i.e. plugged in either way. Apart from this, iPhone 5 includes apps like Siri  the personal assistant, iCloud that gives instant access to your contents, Maps by Apple which are 3D interactive and the all new EarPods that come with your box of iPhone 5. It runs on a standard Li-ion battery of 1440 mAh which sustains up to 8 hours of talk-time and up to 225 hours in stand-by mode. It is available Black/Slate and White/Silver Colors. The iPhone 5 competes with Samsung's Galaxy SIII and Galaxy SIV range of smartphones.